Stamp with Kathya: Happy 2016! Happy New Year Friends! Hope 2015 was a good year for you. I'm excited for this fresh beginning! Looking forward to creating and sharing more in 2016. One of my goals for the new year is to send out more cards! Sounds easy enough, but somehow it doesn't end up being that way. Anyhow, it's the first of January, which means it's time for another fun blog hop with my fellow Stampin' Up! demonstrators with Di's Country INKers! 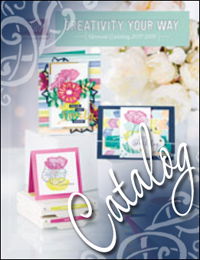 As you can see, the theme is new items from the 2016 Occasions and Sale-a-Bration catalogs, which goes live on January 5th, 2016. 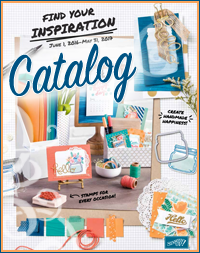 Both catalogs are awesome! I created a card to ring in the new year! I had this idea in my head and I'm glad it turned out good. The numbers are part of a bundle, you get the Number of Years Stamp Set and the Large Numbers Framelits Dies. I love this bundle and have so many ideas for cards and scrapbook pages. The hello sentiment is from a limited-time Sale-a-Bration stamp set called "Hello". It's a set of nine stamps. Love the font of it. I inked in Cucumber Crush. The numbers were die cut in Gold Glimmer Paper and they are popped up with Stampin' Dimensionals. I brushed the Wink of Stella Glitter Brush in clear onto the Hello sentiment, love the way it adds a touch of glitter. You definitely want to get one to play with. I also decorated the inside of my card, because 2016 is going to be an awesome year! 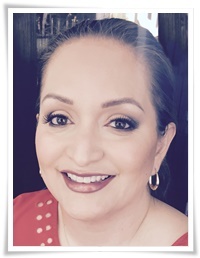 Up next is our awesome leader and my amazing Upline Diana Gibbs. She is such an inspiration to me and is always so helpful. Love her project. Thanks for stopping by today. Until next time. Love all the glitz and glitter!!! Thanks Crystal. It was a fun card to make. Love the numbers Di! I'll be making more of these cards. It was a fun blog hop. Thanks Barb! So excited 2016 is here! Great blog hop buttons! What a super way to use the numbers on glimmer paper too! Thanks Mary! It was a fun card to make!